This program is designed for Anyone Who Loves Feng Shui and Wants to Work as a Professional Feng Shui Consultant… and that Comes with Done-for-You Consulting Checklists, Templates and Forms to Get Your Feng Shui Business Started — and Profitable — Even Faster! Isn’t It Time You Did Something For Yourself — That You’ve Wanted to Do for a Long Time? 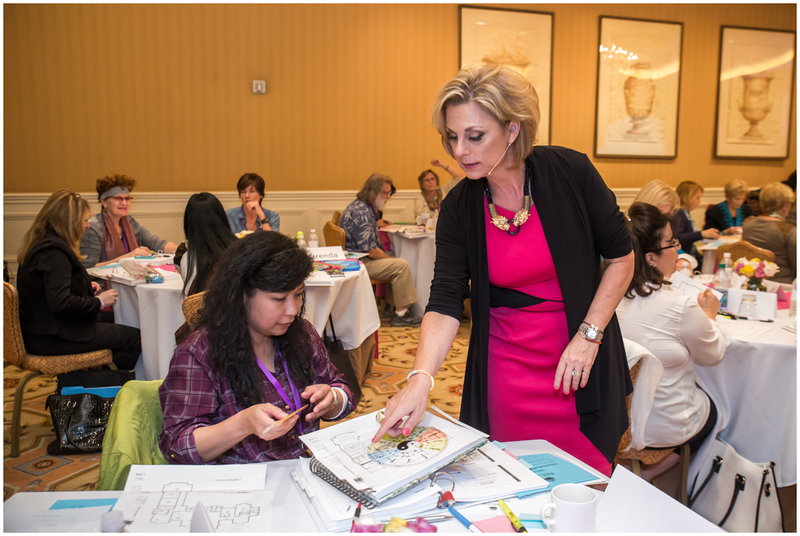 They’ve done the training but don’t have a clue how to start their feng shui business — that’s the problem with most feng shui training and certification programs — not knowing what to do or how to get started in your consulting practice once the training is over. They don’t feel ready — You will be ready to start working with clients from Day 1 after you leave the class. They’re AFRAID to go this far by themselves — YOU can do this! They’re worried about what their family and friends will say — you can’t live for others, you can only live for yourself. Step out in faith that you can do this — I’ll be with you every step of the way. Already know that you want to register to this event? Great! Click on the button below to be taken to the registration section. This is a proven course that helps those who want to learn and practice feng shui as a working consultant. 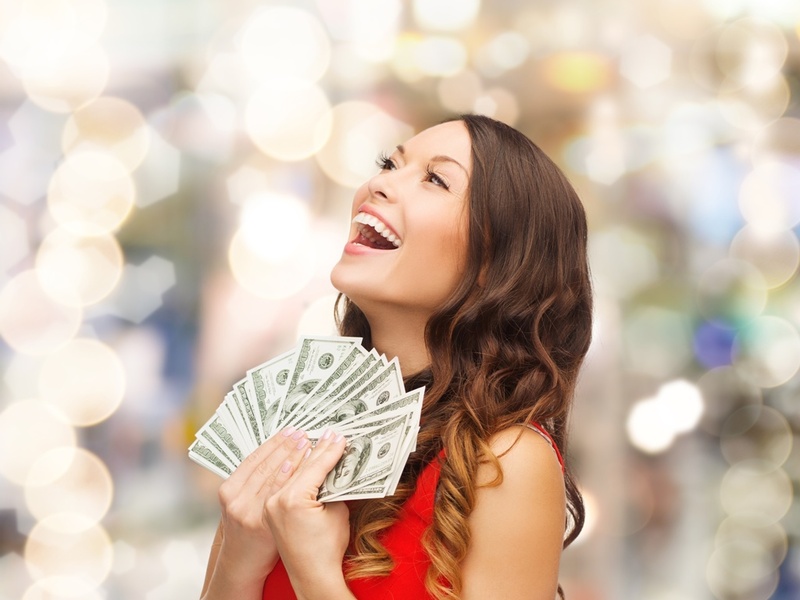 I’m recognized for being willing to talk about…..money! There’s a lot of “not talking” around working as a feng shui consultant. Lots of certification courses, schools, teachers and organizations don’t want to talk about it. Why? Because there’s a lot of feng shui consultants not making ends meet, or not charging enough for their time and training, who don’t know how to start their business….and many going out of business. Why? They aren’t making money. How can you advise anyone on financial success and be a financial wreck? I want to get you into business and keep you there. I love feng shui and I love working as an entrepreneur. And I want to share with you all I know about feng shui, making money, marketing and being in business as a feng shui consultant and business woman. 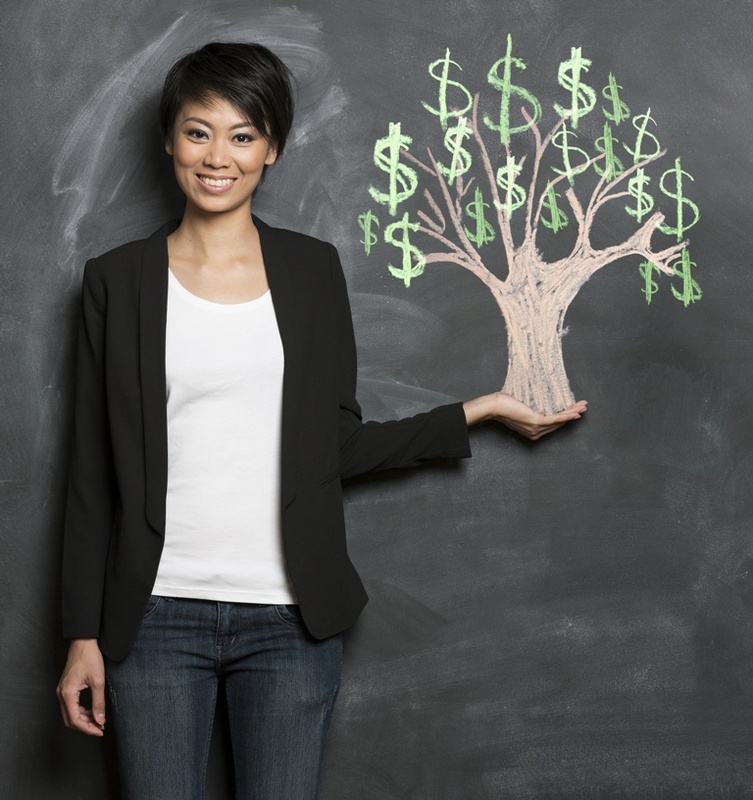 When you are successful at feng shui, you are making money — and helping others at the same time. To empower you as a feng shui entrepreneur and help you begin your feng shui business and make money doing what you love and have been trained to do. The MCC is the best deep dive in feng shui and business that you can find anywhere. That’s my promise to you. And it’s just plain fun to be there. You meet incredible women. In fact, you will **MISS THE MCC** from the moment it ends. There’s no describing being in the “feng shui bubble” with other like-minded people who love feng shui as much as you do! Eight years ago this started out as a training class for feng shui consultants and it’s grown larger each year. We work hard, but we enjoy ourselves too – this will be the easiest hard class you’ve ever had fun at. And I want you to have enjoy learning feng shui at the MCC because fun shui is GREAT feng shui. At other feng shui classes and certification programs, it’s just a class with a whole lot of what and not a lot of how. I’ll give you feng shui tips and tools that I’ve designed in my own practice that help simplify difficult Chinese feng shui methods so that they’re easy to implement. If you’re math challenged like me, you’ll know what I’m talking about. There’s a lot of confusion and needless complexity around feng shui when there doesn’t need to be. Yes, even some of the most revered feng shui Grand Masters use simple tools like the ones I’ll share with you at the MCC. Don’t worry about hand drawing flying star charts – I’ll give you everything you need to make feng shui easy to practice and more profitable. My promise to you is that this isn’t just another dry class on feng shui – it’s about how to learn feng shui and turn it into a business. That’s exactly what I did 15 years ago at the height of the stock market crash and tech-sector meltdown. I started my business one month before 9/11. But I believed in the power to move energy and make money no matter what’s going on in the economy. That’s because if you have good feng shui, what’s going on in the economy doesn’t matter because your economy is thriving. 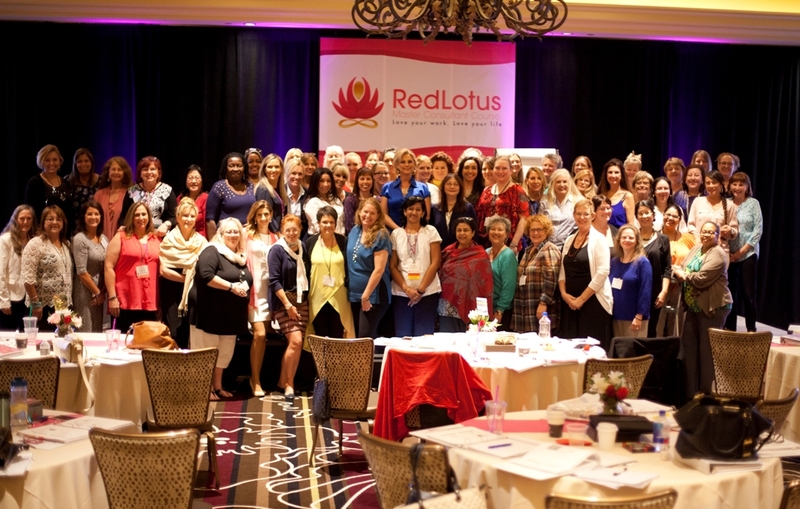 This is the 8th Year of the Red Lotus Master Consultant Course and it’s so much more than just a feng shui conference and training course. It’s a life-changing course. It’s More Than a Feng Shui Class. It’s…. The MCC is for feng shui consultants who have a passion for feng shui — and for making a difference in the lives of others while making money doing what they love. Many would-be consultants aren’t sure about taking classes to practice feng shui as a business, or if they even need them. Even more important is setting up a feng shui practice – how to find clients, learning what’s expected in a consultation report or feng shui audit, and finding out what knowledge, skills and tools are needed to be considered a professional feng shui consultant. I was trained in feng shui, but no one helped me create my feng shui business. It’s taken me 15 years and I’ve learned a lot along the way — and I share it ALL with you at the Red Lotus Master Consultant Course (MCC) something completely different from other feng shui training! And you will be learning classical Chinese feng shui. This type of feng shui is in demand by corporations, homeowners and businesses — and it’s growing. As the Asian influence grows, there are more and more people searching for qualified classically trained consultants. The MCC training gives YOU the edge. 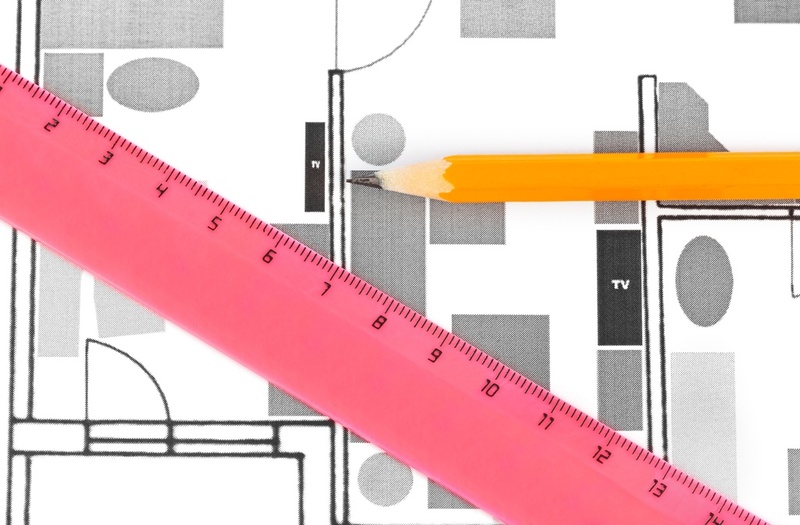 How much should I charge for a feng shui consultation? The Red Lotus Master Consultant Course (MCC) will teach you how to create greater health, wealth, and well-being for you, your loved ones, and the lives of your clients. Feng shui is a practice of foundational concepts that must be understood in depth in order to apply it fully – especially if you want to work as a professional feng shui consultant. The Red Lotus MCC will teach you traditional Chinese feng shui, and the important details about time and space feng shui, compass and personal feng shui….plus, many feng shui secrets and concepts that are more important than mere rules. Perhaps most importantly, I’ll share tips and helpful details that make traditional feng shui faster, easier and a lot more fun to practice. I’ll also share a lot of my personal consulting stories. It’s one of the things everyone loves the most — stories, inside details and secrets that makes feng shui come alive. Maybe that describes what you’re looking for. How about this? “For so many years I had interest in feng shui but never dug deep enough. When I came to the US and found out about Katie and her Red Lotus Letter I immediately signed up. I could not wait until Wednesday to get a new and always-interesting article. When I found out that Katie was creating the MCC course, I booked my tickets. I knew it was going to be great — but it was way more than that. “Coming to the MCC rounded out my knowledge as an energy worker by understanding how our environment fits in to the puzzle of energy that surrounds us and our lives. Learning feng shui has helped me expand my energy work in Reiki.Personally, the class has helped me create an environment that supports my passions and businesses — and enhances my life. If you’re undecided about the MCC, all I can say is that you should go. 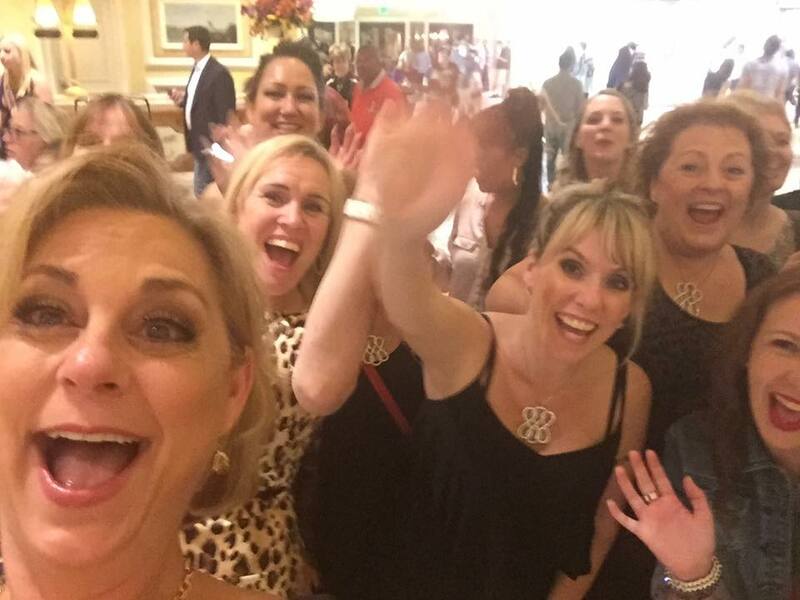 “The MCC 2014 class in Las Vegas last year was been nothing short of one of the most incredible and enlightening experiences of my life! I have grown in all aspects of my life after the class. I learned that life doesn’t just happen — it’s the way we choose to live our lives from our home spaces to our work area. I’ve been able to change and improve my own life and that of my friends and family since learning feng shui. This has been both extremely fascinating and emotionally rewarding. “If you’re like me, you read Katie’s newsletter every week. I liked the Red Lotus Letter because it conveys feng shui information that’s very detailed, easy to read and simple to understand. When there was an opening for MCC 2014, I was completely confident about the quality and quantity of information I’d receive, so I signed up for the MCC instead of another feng shui course. The best part about working in feng shui is that you can choose to use feng shui as your primary career choice, such as working as a feng shui consultant. Or, you can incorporate it into your current vocation such as home staging, interior design or re-design, professional organizer, real estate, building and construction, architecture, and many other fields, such as the education, medical or healing fields. A deeper understanding of feng shui will create added benefit and potency to your work, helping you reach clients on a completely new and deeper level. Knowing feng shui intimately helps you to look below the surface and read the meaning of a space, such as the child whose bed is pushed into the corner of the room and endures being bullied at school, the teen who suffers from asthma with a blue-painted bedroom ceiling, the business that has “No Parking” signs at the front and is barely hanging on, or a couple that’s at odds and their bedroom shows it with a broken down mattress and mismatched night stands. Sometimes, it’s worse….like cancer. You’ll learn which combinations of elements create arguments, tension, financial difficulty or aggravate cancer, arthritis and stimulate diseases like MS or ADHD. Feng shui can be used to help improve lives dramatically. I’ll teach you how to look at a space and see it as more than a box with a floor and ceiling. It’s a living space that tells a story. If you can read that story, you can help re-write what that space says and that can make a huge impact in the lives of your clients. The best part about the Red Lotus Master Consultant Course is that you can design your feng shui career around your personal passion. For me that passion was writing. I wanted to create a way to put my two loves, feng shui and writing, together. That’s how the Red Lotus Letter feng shui e-Zine came about. 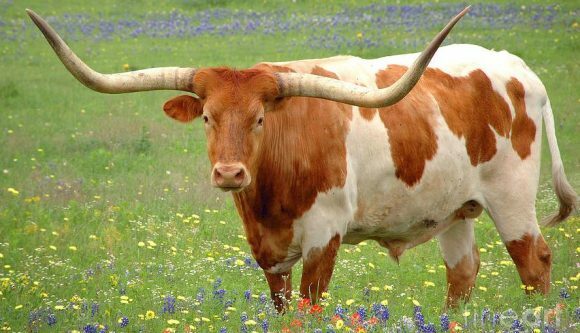 I lived in rural South Texas, where there are more cows than people. I knew I had to build a feng shui business that would allow me to live in a cow pasture. Plus, I wanted a career that I could do on my own schedule and be around for my husband and son. Publishing an online newsletter was just the answer. This just shows you how you can take something you love and combine it with feng shui to create a new business for yourself. Feng shui consultants love feng shui. They just don’t often make money at it. I believe in the power of feng shui — and its ability to create a great life and business for you and your clients. But if you don’t make money, you can’t spread the word about feng shui. Your clients want to see a successful feng shui consultant so that when you speak to them about success and wealth, and that you are a model of success! I want to show you how to create the kind of success yourself and your life….and for your clients. For 16 years, over 35,000 subscribers read the Red Lotus Letter e-zine each week. “If it’s Wednesday,” says Katie, “you can bet the Red Lotus Letter will be emailed out.” A fourth generation Texan, Katie brings the eastern art of feng shui to her readers in a genuine and practical way that’s never too woo woo. She covers fresh new feng shui subjects — and explains feng shui in down-to-earth terms — just like she does at her MCC classes. Because of her unique perspective, Katie’s been featured in magazines, newspapers, and on websites around the world. 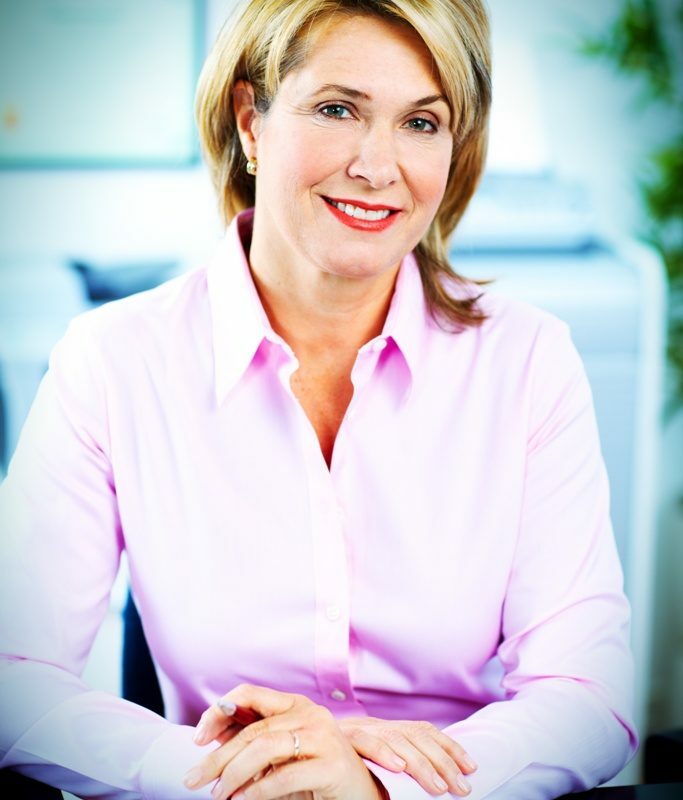 She has clients that range from homeowners to manufacturing plants. Her newspaper column, Living Space, is nationally syndicated and read in daily papers such as the Charlotte News & Observer, the Orlando Sun-Sentinel, the Sacramento Bee and New York Newsday, in addition to online editions like the Chicago Tribune. She also developed three highly successful collections of feng shui jewelry for HSN and has been filmed for Ehow videos. 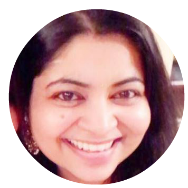 An engaging teacher, she’ll present difficult feng shui concepts in easy, simple to understand methods, giving you feng shui tips, charts and ideas to help you quickly and easily do your assessments by giving you the very ones she created for herself. What sets Katie apart is her willingness to share everything she knows with you. She holds nothing back. Is it landscaping, architecture, writing, interior design? Maybe it’s fashion. You can pair your interests with feng shui to create a business that’s unique to you and your interests. In fact, I recommend that you do. It helps you to create your own unique feng shui niche – one that’s authentically you. The Red Lotus Master Consultant Course will not only train you as a feng shui Master Consultant, I’ll help you refine your feng shui business to include your passion to help you create your own, one of a kind business that resonates with who *you* are. In fact, we’ll spend a full day just on the business aspects of feng shui. I’ll share with you all of my personal techniques and tips for making your practice effective, efficient and productive — and profitable. It’s tough getting started as a feng shui consultant. I know. I was where you were 15 years ago. You worry if you’re doing things right, if you’re charging the right amount, wondering if your reports make sense, wondering if you’ve covered the important details. It’s frustrating when you’re trying to combine feng shui and create a feng shui presentation or report that makes sense. Then, you wonder if you’re charging the right amount, if your fees are too high — or worse — too low. I want you to feel confident and ready to begin your consulting business. Many feng shui classes are taught by those who only know feng shui — and while that’s great — I can teach you about combining feng shui with entrepreneurship. I put together the kind of course I would have wanted to take when I started my career in feng shui, answering all those questions that I wish I had known when I started out. You won’t have to wonder any more if what you’re doing is right in feng shui or business. You’ll be doing it right, right from the start. What’s all this worth? It’s worth time — and money. When you have all the resources you need, the directions on how to begin working and the resources to get your business started, you’re that much closer to making your business work for you. When you have to “feel your way” along, making mistakes along the way, worrying and wondering if you can make it as a consultant, then that’s a loss of both time and money…time you could be spending earning money as a feng shui consultant. A feng shui experience that you will love, enjoy – and have fun at — because you learn more when you enjoy yourself! What’s the price of confidence worth? Everything. Because self-doubt costs you dearly. Many feng shui consultants don’t bother to get training with an experienced teacher — and they always wonder if they’re doing it right. You won’t have to look over your shoulder and wonder if you’re practicing feng shui consulting correctly. When I first started practicing feng shui professionally, I charged a measly $75 for a consultation and I worried I was charging too much. Then I took a course overseas to learn feng shui. When I came back from that trip I felt very confident because we were told that with our level of experience, I could charge $500 for a home consultation. I couldn’t believe it – that training meant that I had a $425 increase for two hours of my time. When I first began, my $75 consultation took me four hours: two hours at the house and then two hours to write it the consultation. So, in all I made $18.75 an hour. After my training, I charged $500 for the same four hours. That was over a 600% pay increase. Today, I charge $400 for an hour-long telephone consultation. That shows you what you can do because if I can do it – you can too. Maybe you’d like to do telephone consultations. You don’t have to start out charging what I do, but $125-$150 an hour is very reasonable – and not bad for an hour’s work. I’ll show you how to do these in the class. 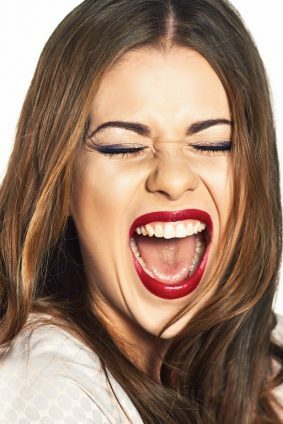 But what if you charged $250 for a consultation, you could do four small consultations a month and make an extra $1000 for yourself – with just 16 hours of work. Maybe $1,000 doesn’t seem that much…or maybe it does. That’s a car payment for a very nice car, maybe a nicer apartment or some cash to do things you want to do like take a vacation, give to your favorite charity, support a loved one such as an aging parent or college-age child, buy a fancy new iPhone or iPad, or invest or save the money. Of course you could very well make more than $1000 a month. Like anything in life, the more you put into it, the more you get out of it. Once you’ve completed the MCC, you will be a Certified Master Feng Shui Consultant. You’ll have gone through the training and been tested, so you can hold you head up knowing that you’ve learned the key skills to complete feng shui consultations that are thorough and complete. Handing over your certificate at the graduation celebration is always an exciting time for all the students. You’ll be able to know you are backed up in your training once you start your consulting practice too, so you can call yourself a feng shui expert. “When I decided to start my feng shui consulting business I did some research into luo pans and discovered that most luo pans were written in Chinese symbols. But fortunately, Katie has professional luo pans in English! Since I bought my luo pan, I’ve used it at clients’ homes and the interest people have in it is kind of fun. First they peer over your shoulder to see and then they want to know what all the rings mean. “This course is truly awesome. We got so much information that I almost needed another piece of luggage for the notebook and everything I got at the course! Katie makes an effort to make everyone feel so special – it’s a rare thing at a conference when you often feel lost in the crowd. It’s that attention to detail that makes this conference unlike any other. Be sure to follow Katie’s recommendations to come early and read up on all the pre-conference information. If you do, you’ll be rested and ready for this intensive experience. “I had been studying Feng Shui for two years prior to attending Katie’s Red Lotus Master Consultant’s Course, but I felt as though I still had so much information missing and was not confident enough to do paid consultations, even though I had trained under another Master for two years. There was so much at the Red Lotus Master Consultant’s course, it was amazing just how much we did in just three full days and there was even time to have some fun too. I did have lots of missing knowledge, but I don’t anymore because Katie fixed that. Not only that but Katie made it so much fun, everyone felt relaxed and I met some wonderful people from all over the world who I still regularly keep in contact with. My feng shui confidence has changed dramatically, especially now that I can show off with my English luo pan. When I received my Certificate I was so proud of myself, and so proud that I had stepped out of my comfort zone and traveled all the way to Las Vegas from the UK on my own. That was such a big step for me and I am so glad I made that decision. I can honestly say it was the biggest and best decision I have ever made. I very nearly went the previous year to San Francisco but I didn’t have the courage; I regretted that decision so much that it made me determined to go to Las Vegas. The best thing is, I’ve earned enough money now to cover the investment I originally made in taking the trip to Las Vegas and attending the course. It’s not very often you can call yourself an expert. But when you receive your Master Consultant Course Certificate, you can. There’s something so validating about this experience. It’s like getting a giant B-12 shot of confidence. Believe me, in a world that often shoots you down, it’s nice to feel that giant boost. What’s important to know is that this course is not an expense. It’s an investment….in you. You can immediately apply what you’ve learned toward your feng shui business. And, if you truly decide to do this as your business, you can deduct this as a business expense (be sure to check with your accountant first). When was the last time you invested in yourself? Maybe…never? Every investment I make in myself pays me back ten-fold. I was just like you — nervous, wondering if I should do this or if my family would think I’d lost my mind. But, I earned every penny back within two months of returning from my training. Think about it: you could earn $500 for each 2-hour feng shui consultation you book. In just three consultations, you could pay for your investment in this course. That’s a great return. This class is time and information-intensive. You won’t have to spend over a week, and many thousands of dollars traveling overseas (like I did) with a week of food and hotel bills (like I did) and serious jet lag (like I did) on top of thousands of dollars for the class tuition. Plus, as a feng shui devotee, you’ll learn how to regularly update your feng shui. This course will instruct you about all the time influences that bear of your family, your health, your career and income, and your business and happiness. The knowledge of how to regularly update the feng shui of your own home is in itself a priceless skill and valuable asset. Now when someone says it’s going to be the ‘Year of the Horse’ that information will be very meaningful for you because you’ll have such a deep understanding of feng shui. I have specifically boiled down what I have learned in my practice of feng shui to the most essential information you’ll need to begin your new feng shui life and business and all at a reasonable cost for such an intensive, fun-filled, and mind-expanding class. But this class isn’t just me talking to you for three days — you’ll go home with tons of tools and information. You’ll have experiences that are fun, thought-provoking, and spirit-filling. This is more than a feng shui class — it’s an experience. EVENING: Graduation and awards CELEBRATION! We make time to enjoy ourselves, too. The MCC conference isn’t all work and no play. We’ll be doing some exercises and activities that go well beyond working in our notebooks. Plus, there’s a lot of fun and pampering too! At the MCC in Napa, California we had a champagne tour of the chef’s private garden where he picked vegetables straight from the garden and gave us a demonstration, tasting and recipe for his creation. At the 2014 Las Vegas MCC, we had a photographer come in and take everyone’s head shot so they’d have a professional photo for their business cards and website! In 2015 in Los Angeles, everyone got a one minute video to put on their feng shui business website. And we always have fun goodies for all attendees! It really is more than just a class, or an event….it’s an experience. One of the ways we take care of you at the MCC is making sure you get your questions answered. This course provides a lot of information but you may still have some questions and would like to speak to someone who’s walked the same path you are. And for that reason, we’ll be providing you with four MCC graduate coaches who are there just for YOU. These coaches have been through the MCC more than once, are working in feng shui and with the public, and who will be there to answer your questions and help get you unstuck if you have any doubts or uncertainty about any of the work we’re doing. Best of all, they’ve been where you are now and know exactly how you feel in the class as you take in so much feng shui information. They come from all walks of life, too, but they all know feng shui the MCC and what you can expect and can help you navigate your questions and class material. We think you’ll love having them there just to support you. 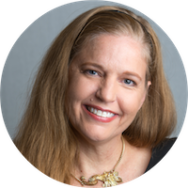 Julie works in Hollywood, California as a producer, professional organizer and Master Feng Shui Consultant. Julie is a past 2013, 2014, 2015 and 2016 MCC attendee and host coach whose engaging style and humor is the perfect ice breaker. She’s fun and makes the class warm and friendly. Sridevi is a feng shui technician at the purest form. As an IT professional, she can interpret your questions and distill the essence of any question you might have about feng shui. Her grasp of feng shui is as impressive as it is practical, and she can help you sharpen your feng shui focus. As a Realtor in the Washington DC area, Sabina has seen it all — the good, the bad and the ugly. 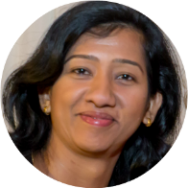 With warmth and charm, she can help you find the answers you’re seeking in feng shui and can break down complex ideas into simple concepts. You’re in good hands with Sabina. Few consultants grab onto the concepts as intuitively and with as much grace as Priyanka. Sweet and kind, she’ll help you unravel even the most complex topics and do it with warmth and insights. Always willing to share her knowledge, you’ll learn so much from Priyanka. 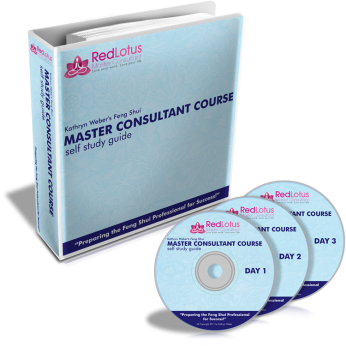 Is the Red Lotus Master Consultant Course Right for Me? … an enthusiastic, action-oriented, goal-setting type of person with a positive, infectious attitude and who loves to participate. Sound like someone you recognize? If so, this is the course for you. If you believe you should buy a “business in a box” and enjoy challenging the speaker, sitting with your arms folded at the back of the class, have a negative outlook, and want to debate or argue about business or feng shui or anything about the conference, this isn’t the class for you, and it would be better if you didn’t attend. This is not the place to work out your life traumas and dramas — it’s where you come to learn in a positive, can-do environment. It’s also not a good class for someone who is unprepared. I’ll give you homework, resources, quizzes and instructions well before class so you are prepared and ready to learn. 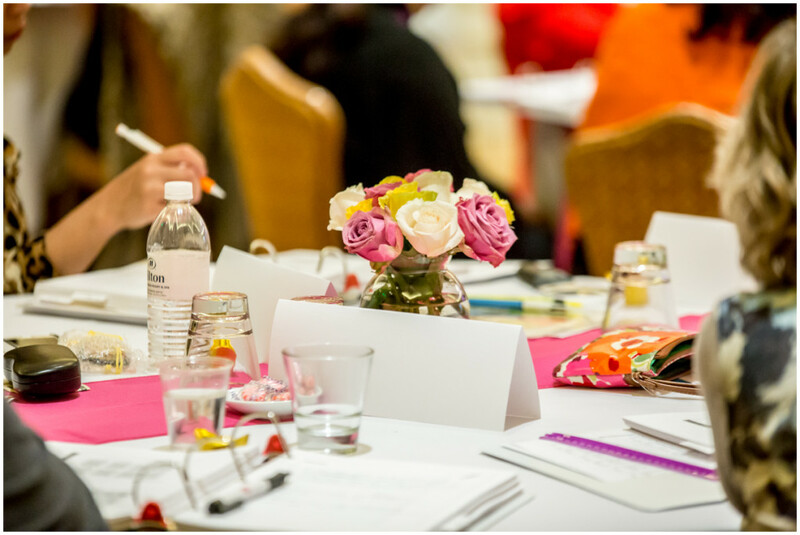 By the time you come to the class, you will have had plenty of help preparing so you’re ready to make lots of AHA’s! Sadly, there are people with unrealistic expectations for a course like this or they’re bitter, cynical people who want to “test” me and see if I’m going to cover every single thing I promised them (which I assure you, I do), debate me or contribute in a negative way, we ask that you don’t sign up. If you’re unhappy with what you’re learning or you carry a negative aura of energy that pollutes the atmosphere for everyone else, demands constant attention, is overly needy, monopolizes question time, or can’t work with a group in a positive manner, please don’t sign up. When someone makes an investment in themselves for my course, I want them to experience a class filled with positive, like-minded people who bring their enthusiasm and caring and consideration for others with them. Will the MCC Class work for me? I’ve taken other courses and was disappointed. How is this class different? We’re glad you asked. The MCC is VERY different from most feng shui training classes. We have consultants who’ve been working for years and trained for years who say over and over that this class was the most rounded class they’ve ever taken. Plus, they learned how to WORK as feng shui consultants — something no class offers. You will have to put in the effort and in business that requires you to make decisions, think differently, work differently and be ready to tackle the job. Can I really create a feng shui business? It’s important that you’re realistic about what it takes to be in business. I work 30-35 hours a week and make a healthy amount of money. But it took me time to build to this. If you consistently work at your business, and do all the steps, you can create a business for yourself. However, there are no “magic pills” here…. work is just that — work. The MCC is not a get rich quick program and it will not magically solve your problems. The question is — do you want the work you do to be work you love and that builds something for you and your family? This is what I love about my business (well, that and I can take two or three vacations when and where I want without having to ask for time off!). But I applied myself regularly and on a daily basis to build this. You can too. Consistency beats talent and I can’t say enough about consistent effort. You get out of your business what you put in to it. Can I bring along a friend or my husband to the class? I don’t recommend it. Remember that this is a working, business conference and you’ll want to be fully engaged in what we’re doing here. We will also be busy for a full three days and nights. What if I’m not ready now? Will you have another MCC class next year? If you want to come to the MCC, do it now. Let me ask you something….is there ever a time in life when you are really, truly “ready” to do something? Most of the time, you just have to take the plunge. You will always be busy, have a problem, be over-scheduled and use that as a way to test whether you’re ready or not. As for next year, it’s likely there will be another one next year….but you never know. What kind of people come to the MCC? Simply put, they are awesome, awesome wonderful people. You will love the MCC if you’re enthusiastic, ready to learn, ready to help and pitch in and aren’t just about “you.” The people who enjoy it the most are there for themselves and others. The ones who enjoy it the least are the ones who are “all about me” people…you know the type. If that’s you, it’s better if you don’t sign up. But if you’re excited, eager and ready, then let’s do this! Every year I’m asked for recommendations of books to study before coming to the MCC, which I provide. But even then, attendees want to know exactly what to study. So, to help you prepare more thoroughly and leap frog ahead, I am offering this year, for the first time, a FREE copy of the MCC course materials and recordings from a previous MCC, so you can get a head start on studying and being prepared for the MCC. This is a $997 value — and only for MCC attendees! You’ll get all the handout materials and class recordings to follow along with. It’s makes a huge difference to hear it, go through it, and then arrive at the MCC. Once you come to the course, you’ll be more prepared and ready to learn at a deeper level. You’ll receive all teaching material presented during the course. All lessons will be printed with room to write your notes. These materials will become your own personal feng shui bible and business resource that will be invaluable in your feng shui practice. This impressive binder is chock-full of feng shui lessons, samples, resources, tools and helpful information. Weighing in at 5 pounds, you will have all your information in one handy location with every bit of information provided to you. The value of the binder? At least $1000. In addition to all the charts and templates, I’ll also give you a list of my favorite *personal resources. * This is a $497 value by itself. These resources include 30+ pages of my *most valuable* business resources that I personally use for everything from where to register a domain name, start your own newsletter, to buying feng shui items wholesale, getting website help and graphics design. You won’t have to guess about where to go for help, resources, and services when you start your business. Ever wonder how you’ll create consultation reports? Or maybe you’d like some guidelines to use when you are consulting? I want to help you get off to a successful start. That’s why I’ve developed over 40+ pages of charts, tables, graphs and forms you can use in your practice — instantly implementable tools to print or save to your computer. Everyone LOVES these because they help you get your consulting business started immediately. These are forms and tools I’ve developed for myself over the past 14 years. The templates, samples and forms are worth $497 alone. 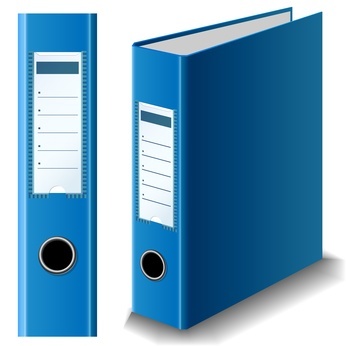 Complete digital files of all items and course material are provided for you to look at, print or download to your computer. Everyone loves having these files — and you will too! 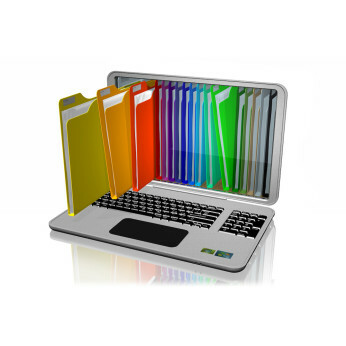 You can look at all the files on your computer and have everything in an electronic format. This is a $497 value. 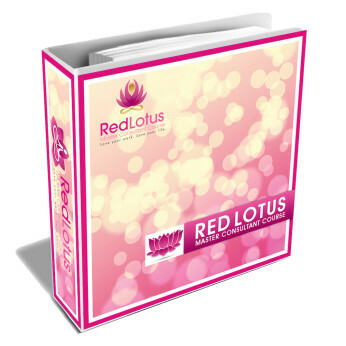 “When you sign up for the Red Lotus Master Consultant Course, you not only receive in-depth training, you also receive all the supporting documentation and templates on disk. This mean I could just ‘plug and play’ when I got home. Not having to create consulting forms from scratch or figure out how to do things all on my own is a huge bonus. I was also impressed by Katie. She’s a fun presenter who really cares that her students get the information correct. “I thought I’d learned it all as a student of feng shui the past 20 years, but no one spells it out like Katie. Her feng shui explanations are clear and her delivery of the ‘mystical eastern’ science (which is how I see it) is in plain (Texan ) English. Classes are structured and informal; everyone is interesting and interested in each other personally as well as feng shui. “Katie makes me think of my dad when I was learning to ride a bike as a kid. I knew he was right there, either holding up my bike or running beside me and finally letting go as I learn to ride away by myself. I could hear his encouraging words and I was so excited to finally be able to ride! “If you’ve ever had the chance to meet your role model, you know how incredible it can be. For me, my role model was Katie. 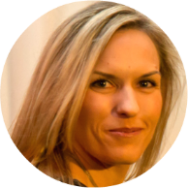 I’ve studied feng shui for two years in Norway and it was time to attend the MCC so I could learn how to run my feng shui business, and I wanted to learn from Katie. 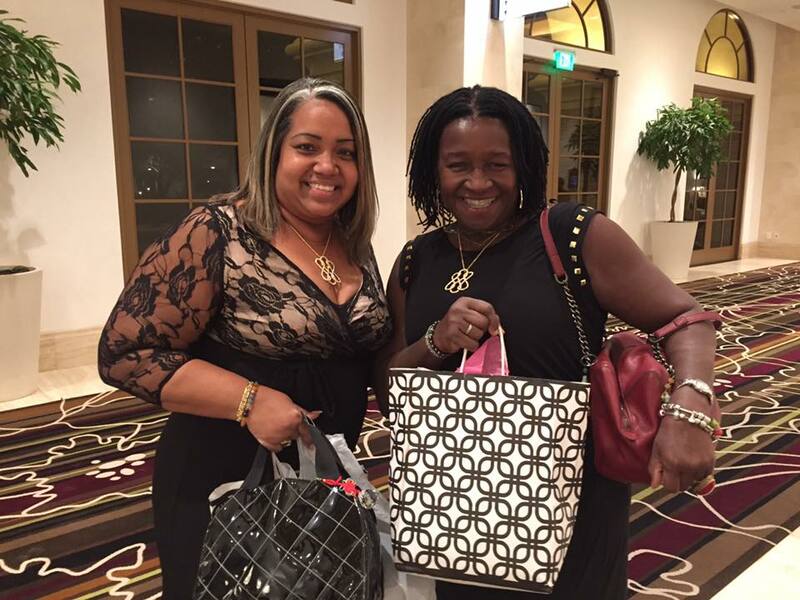 It was a big step to travel from half way around the world, but after attending the MCC I am so much more confident about my abilities in feng shui and as an entrepreneur. The class just lifts you up with the great people, the positive atmosphere and the amazing surprises. Best of all, I’m working in feng shui. I’ve even given classes and been paid for them! You can do this too. There is nothing to describe being in the “feng shui bubble.” It’s a place you don’t want to come out of. Being in the community of fabulous women and people who understand what you love is just the start. You’ll meet wonderful friends and being able to connect with them at the class and online at our exclusive MCC Facebook page. One of the most valuable things you’ll receive at the MCC is a network of wonderful people who “get you” and understand feng shui too. When you return home, you’ll be able to reach out to your network to discuss clients, feng shui tangles and to help one another. I’ve had friends from my training that I’ve stayed in touch with for over 17 years — and close friends I have made from MCC attendees! The MCC is a sisterhood. Plus, it’s just great to be in a room of wonderful people who are all focused on the same passion of feng shui — being at an event like this in person is the best way to experience it! Lots of people want to know how I did it — built a successful feng shui e-zine, developed a feng shui jewelry line, and created my feng shui business. As an MCC attendee, I’ll give you the inside scoop on how I got my Red Lotus™ Feng Shui Jewelry line on HSN, got my Living Space newspaper column and produce my Red Lotus Letter e-Zine. I’ll share with you all the secrets of my business I don’t share with anyone else but MCC attendees. I don’t hold anything back at the MCC. Because you’re part of the MCC, you’ll be the first to learn all about the year 2018. We’ll spend time talking about annual feng shui and how to make the most of it in the year ahead — and every year. One of the key aspects of my consultations is talking to my clients about annual feng shui. Why? Because it’s a critical part of feng shui — and it will keep them coming back to you year after year for updates. Annual feng shui is more important flying star because the energies that shift each year are newly charged and potent! 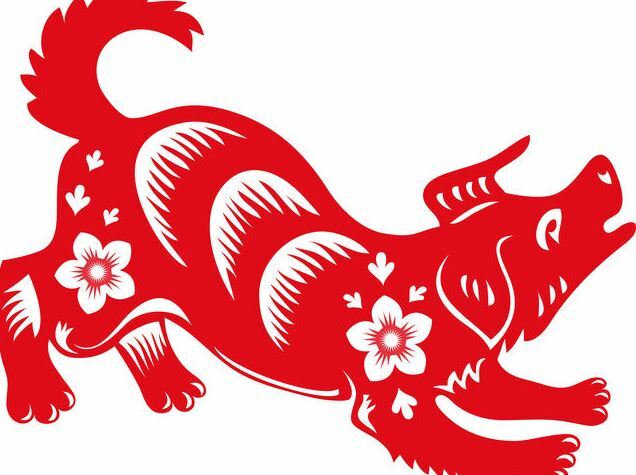 You need to be ready for the Year of the Dog and every year when feng shui changes. 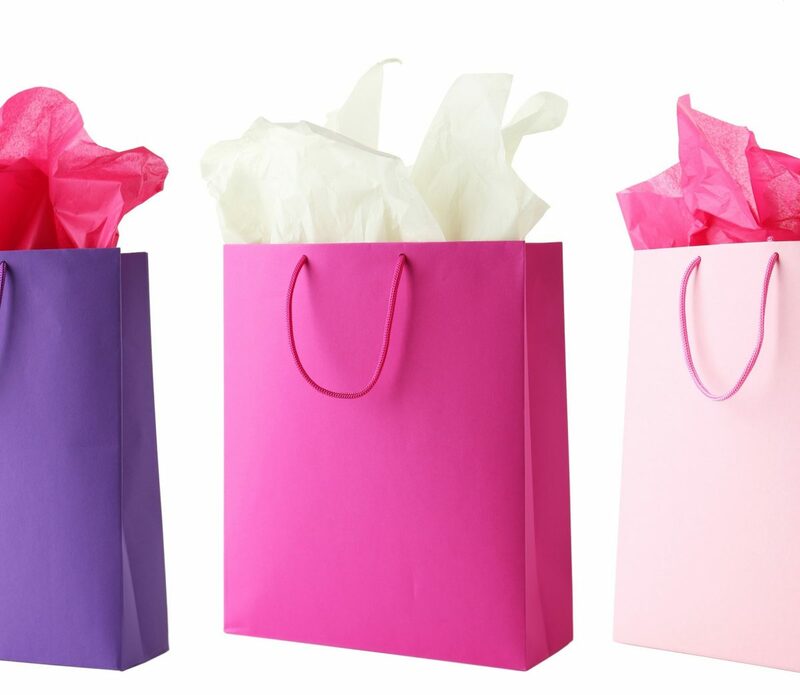 This part of the MCC will make sure you know how to handle these energies and make the most of EVERY year for yourself and your clients — and answer questions lots of people want to know, such as what color handbag or wallet to carry! You’ll also learn how to chart the monthly flying stars so you can follow the energies from month to month. This is a great skill and is terrific for building Facebook traffic on your business fan page, emailing clients and subscribers, and just for your general use. I’ll give you blank forms and show you how to chart the monthly stars, and you’ll be amazed at how easy it is! I always pick a great location with great feng shui and this year it’s all about cool and funky Austin! 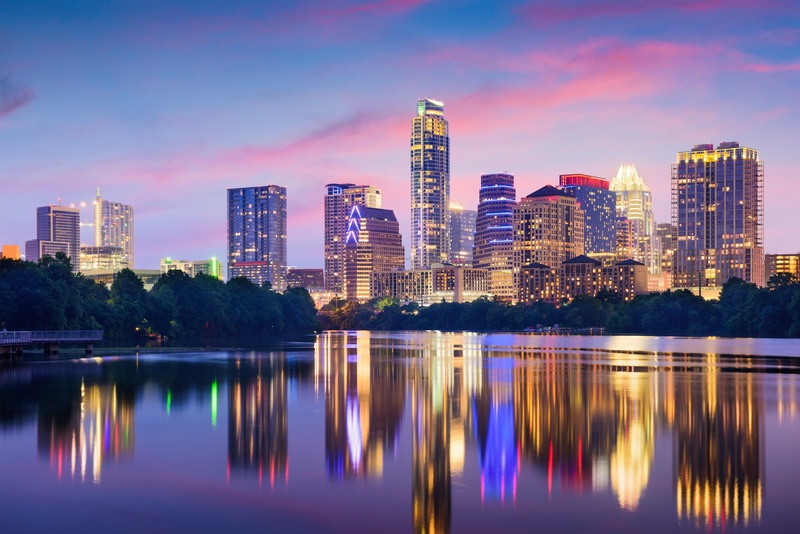 This year the 2017 Red Lotus Master Consultant Course is Being Held in Awesome Austin, Texas — my hometown. This fun, cool, hip, suave and fun place to be! Everyone loves Austin because it’s fun and funky. You’ll have a great time in “Keep It Weird” Austin. There’s no conformity here. In fact, it’s cool to stand out and do your own thing. But Austin knows how to have a great time — and treat you well too. Everyone who knows me well knows I like to select wonderful locations where you WANT to be — and everyone has BEGGED me to hold an MCC in Austin — so here we are in Austin this year! The Domain is where Austin hangs out. It’s full of great hotels, restaurants, shopping and everything you could want — whether that’s a new pair of cowboy boots or a cool plate of sushi! The Domain has 8 different hotels that are all close and within walking distance to the event space where we’ll meet each day for class. We are recommending you book with the fun and quirky Lone Star Court hotel. It’s very reasonable and has a fun and funky Austin vibe that’s like any other hotel you’ve been to. We also have a very reasonable $149 average rate per night at our preferred hotel. There’s also a Whole Foods nearby so you can stock up your retro fridge with all your favorite foods. But, if you have another hotel you’d prefer to stay at, you’re more than welcome to. We’ve put together a whole a travel package with a whole array of hotel choices, including ones for anyone with mobility concerns. In addition to the beautiful surroundings, *we have some fun activities planned as well* and that will all be a complementary part of your feng shui training. You’ll leave with new knowledge, new friends, and having had thorough training and a deep feng shui experience. You’ll want to get started on your airline reservations for travel to Austin International Airport on Wednesday, September 13th and return home on Sunday, September 17, 2017. The class takes place on Thursday, September 14, Friday, September 15, and Saturday, September, but you will need to arrive on Wednesday, September 13th and depart on Sunday, September 17, 2017. Our schedule for the course runs from 8:30 to 5 pm every day. We may have some special activities in the evenings, too, so plan your evenings being busy too! Make sure you pay for the class before making your hotel reservations. We can only hold a spot for those who have paid for the course. If you’re coming from a long distance, you might want to build in a little extra time to enjoy the surrounding areas and to get adjusted to the time change — this is extra helpful if you’re coming from overseas or from the Eastern US. It’s Time to Realize Your Dream of Working As a Feng Shui Consultant. I hope you’ll join me in exciting Austin for the 2017 Red Lotus Master Consultant Course. There’s so much about feng shui and the business of feng shui I want to share with you. In the past, we have had attendees people coming from 11 different countries. They’ve traveled from as far away as Australia, New Zealand, Argentina, Norway, Trinidad-Tobago, United Arab Emirates, Australia, Hawaii, the UK, Mexico, and all over the US and Canada. When I went for feng shui training, I traveled half way around the world and was gone for almost two weeks. 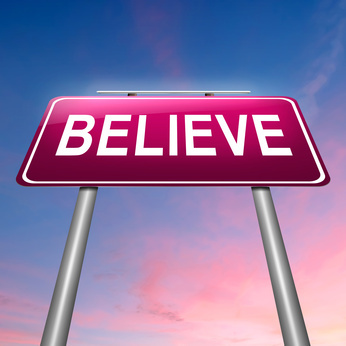 But it made me believe in myself, and it made me follow through on my investment to begin my business. Was I scared traveling that far all alone? At times, yes. Others who came were nervous too, but if you can travel to this course, you can start your feng shui practice. If you’re afraid to get on a plane to come to a welcoming and embracing conference, how will you ever start a business? I talked to one woman two years in a row about her coming to the MCC and she finally made it. Here’s her words…. When I received my certificate I was so proud of myself, and so proud that I had stepped out of my comfort zone and traveled all the way to Las Vegas from the UK on my own. That was such a big step for me and I am so glad I made that decision. I very nearly went the previous year to San Francisco but I didn’t have the courage; I regretted that decision so much that it made me determined to go to Las Vegas. The best thing is, I’ve earned enough money now to cover the investment I originally made in taking the trip to Las Vegas and attending the course. Almost every seminar or course has fine print, and here’s mine…. please read carefully. Please don’t sign up for the course if you’re not really sure that this is something you are certain you want to do. However, I do realize that circumstances arise and you need to know the fine print in case of some unforeseen events. You have 7 days after signing up for the course to receive a full refund (up to July 15, 2017). If you change your mind after the 7 day period, or if there’s an emergency that comes up before the class that prevents you from attending, and you’re registration is paid is full, I will give you a 50% refund and a digital copy of the online MCC course after the scheduled MCC has concluded so you can still continue studying feng shui and receive value for the course. Subscription payments that cancel their payment subscription prior to paying 50% of the course will receive a 50% refund of amounts paid to date and no course materials, depending on the amount paid to date. This policy is only because I have to pay for and reserve hotel rooms and meeting space, and my payment for these services is based on estimated attendance for the course. Please register only if you are serious about attending and committed to coming. So, are you ready to step into your new role as a Certified Master Feng Shui Consultant? I’ve never offered so much valuable feng shui and business-building information…in ONE easy course…and at this incredible price for so much information. When you read my testimonials, you’ll notice that price is mentioned over and over. That’s because I offer a lot of value for your money — and I teach you how to create your feng shui business. One time, I saw an online feng shui certification course for $4,000! I saw another course that was live for $997….I don’t know about you but when I see something priced WAY high or WAY low, I have doubts about it. You know I’ve been around for a long time and the kind of information I offer. You can be assured you will receive everything I’ve promised you — plus more that I didn’t tell you about (but some of those things are surprises! :)). I guarantee you will receive absolutely everything I have promised you here. I personally promise to deliver on every smidgen of information noted here (and more) when you come to the Red Lotus Master Consultant Course. If you feel that the event hasn’t delivered on everything outlined and promised here, I will refund your registration fee for the course. Simply turn in your event materials at the end of the first day, exit the event, and I will refund your registration fee within 30 days. That’s my promise to you to deliver on everything you’ve read here (and more). WHAT AM I CHARGING FOR ALL THIS INFORMATION, AN IN-PERSON CLASS WITH CLASSICAL FENG SHUI INFORMATION, COMPLETE CONSULTING DETAILS INCLUDING DONE-FOR-YOU CHECKLISTS, FORMS AND TEMPLATES FOR YOU TO USE IN YOUR BUSINESS, AND TOTAL ACCESS TO ALL MY PERSONAL AND PRIVATE RESOURCES? To pay by check or money order, please email Katie @ redlotusletter.com. for the 2017 Red Lotus Master Consultant Course! Isn’t it time you did something you’ve wanted to do…for a long time…and just for yourself? if you want to come to the MCC, don’t be the person to hold yourself back. 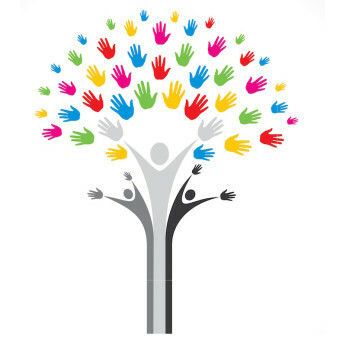 The MCC is ready and waiting to support you in your goals. You’re going to be in great company, and all with others, who like you are trying to figure out if they should press the REGISTER button. Can you do this? Yes, you can. I did it, and so have hundreds of other MCC past attendees. Just look how many return year after year. That tells you that this is WAY more than a class. It’s a life changing event. Won’t you join us this year? Claim your spot at the Master Consultant Course TODAY. I’m ready to take you on a feng shui journey to a professional consulting business that you love. “I started dreaming about becoming a feng shui consultant in 2007. In the eight years that passed I had excelled in my regular 9-5 career but had only managed to choose a business name for my true love of practicing feng shui. That all changed when I attended the 2014 MCC and got to know Katie Weber. That was the moment I decided I would NOT let another year go by without investing in myself. By joining Katie’s 6 Figure Feng Shui Coaching Club I knew I would be exhilarating a long term dream. In less than three months and Katie’s encouragement and wealth of experience, I am proud to say I now have a fully formed and up and running feng shui business. “I struggled for a few days trying to decide if I was ready for a commitment of this magnitude and then…I just jumped in! As the days progressed, the MCC training program was so in-depth with amazing and necessary information, I was given a huge note book containing any and all tools needed to become a knowledgeable and expert feng shui consultant, used our own house plans as our first consulting client, divided into groups to do a Competition Case Study, enjoyed a marvelous guest speaker, were treated to a wonderful last night celebration dinner and our Master Consultant Certificates. WOW! Does this sound like a lot? It is. The MCC is intense but the energy in the class room was so amazingly strong, fun, positive and upbeat — plus with Katie being such an energetic speaker/teacher, I came away with renewed strength and determination. Not only did I absorb the energy from this amazing group I also met some very special friends. “When I first met Katie I had just started my own company. I believed Feng Shui is something that worked but didn’t have the tools to put it correctly into action. Taking Katie’s class ended up offering me much more than I had originally envisioned! Katie has a clear understanding and well developed strategy of teaching people how to become Feng Shui consultants. Not only did I get a complete education of Feng Shui but she incorporated a wealth of knowledge about starting your own business! She provided insight on business best practices and the details needed to make that start-up happen. Her class included commonly used forms (as well as helpful samples), reviewed the dynamics of the consultation professional, and supplied blueprints which have been golden for me personally! I have been able to reference these items whenever needed and then change them to fit my own personal style as needed. “I enrolled in the 2013 AND 2014 Red Lotus Master Consultant Course and it was one of the BEST PROGRAMS that I have participated in. I learned so much — and I now feel that my consults are thorough and complete. I even invested in a Luo Pan and it’s absolutely a fabulous tool. “When I started my feng shui business, I was lost, frankly. I had spent a lot of time and energy going to classes but once I got out of those classes, I had no idea where to begin. Enter Katie and the Red Lotus Master Consultant Conference (MCC). I had hired Katie as a coach because when I finished a year of feng shui training, I was completely lost about how to get started. She told me exactly what I needed to do as a feng shui consultant to start my business, but she also suggested I come to her training conference. After having gone through a full year of training, I wasn’t really sure if I need more training, but the MCC was just what I needed. The MCC was full of people just like me who were ready to take their feng shui knowledge and put it into a business. I learned so much in three days of the MCC that months in a class never prepared me for! Every effort has been taken to ensure we accurately represent our program and its ability to begin a feng shui business and improve your life. 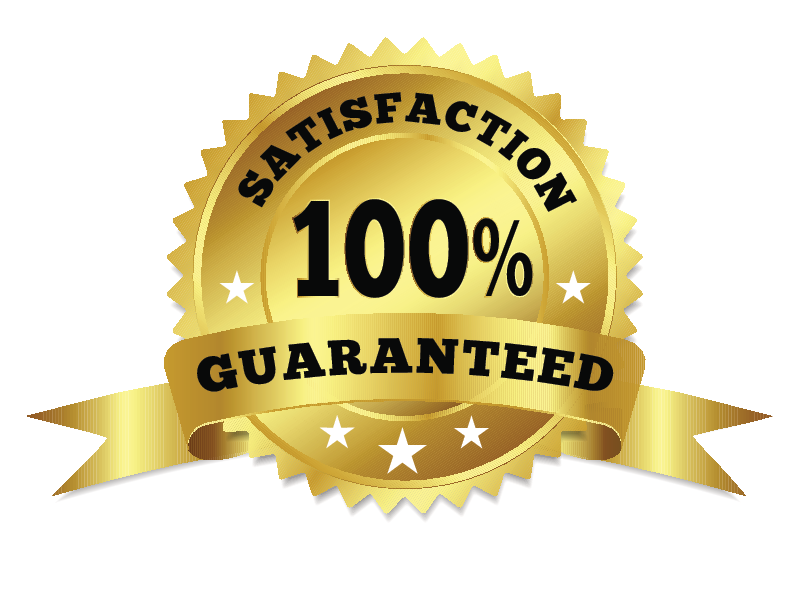 However, there is no guarantee that you will get any results or earn any money using any of our ideas, tools, strategies or recommendations. We do not make any promise or guarantee of earnings. Your success is dependent upon a factors including your ability to market, network, apply business principles, and the strength of your personal business acumen, etc. You are responsible for your actions and results in life and business. We reserve the right to refuse service or refund payments to anyone. Copyright K Weber Communications LLC. Copyright © 2017 FengShuiMasterConsultantCourse.com. All Rights Reserved.